The past couple of weeks I have failed miserably to publish a Friday image. My best intentions went out of the window due to being away both weekends so I am trying to make up for it with this image. On the surface there is nothing particularly excellent or stunning about it. It is however one of the first images captured on my new RX10. Quality wise it’s not great but I am putting that down to the Sony RAW converter – sorry Sony but you do need to improve this software. The thing that has me interested about this image is that it was shot without a filter. An image such as this would normally need an ND grad over the sky to balance the exposure with the ground. In this instance I didn’t have one on the camera and the sky which was quite bright was showing that it had blown out. Equally the land was quite dark and underexposed. The resulting image you see here was processed from RAW and then converted to B&W using Nik Silver Efex Pro 2. Notice that I have been able to reveal detail in the shadows and maintain the sky without areas being blown out. Overall, I am quite impressed by the RAW file produced from this sensor. I now need to check the image quality by processing the RAW file in either Photoshop or Lightroom once these support the RX10. In fact, as I write, Lightroom 5.3 has become available and it looks like it supports the RX10. I will report more about the image quality next week. I know. I only realised after I had posted it. All the boarders seem to be from colour film, slide or Polaroid. Need to be more careful in future. 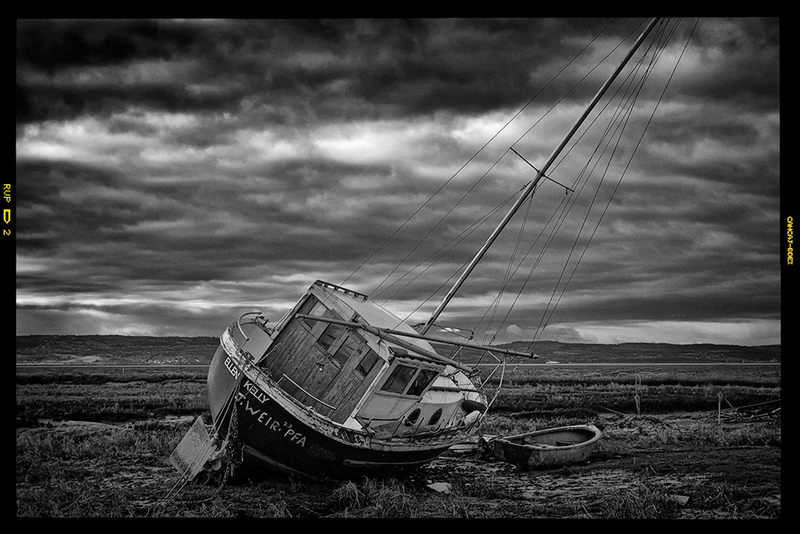 A really superb image, Robin, with good tones, contrast and plenty of mood. Would it be possible for you to explain your procedure using SEP and the areas of the image you targeted please? ?….do you start off with any of the pre-sets. A short Workshop would be even better, if it is appropriate here and you have the time to spare….but I may be asking too much!! It’s a little lengthy to explain in a reply so I will try to work up a new blog post for this tomorrow or possibly the day after. I’m pleased you like the image.